Discussion HaplotypeCaller may fail to detect variant with the same reads with a different composition. I have experienced a variant detection issue with confusion. The png file attached is the result of exact same NextSeq experiment but the read extraction range is different. NextSeq2_point.bam: bam is composed of the reads which cover chr16: 89100686 position only. 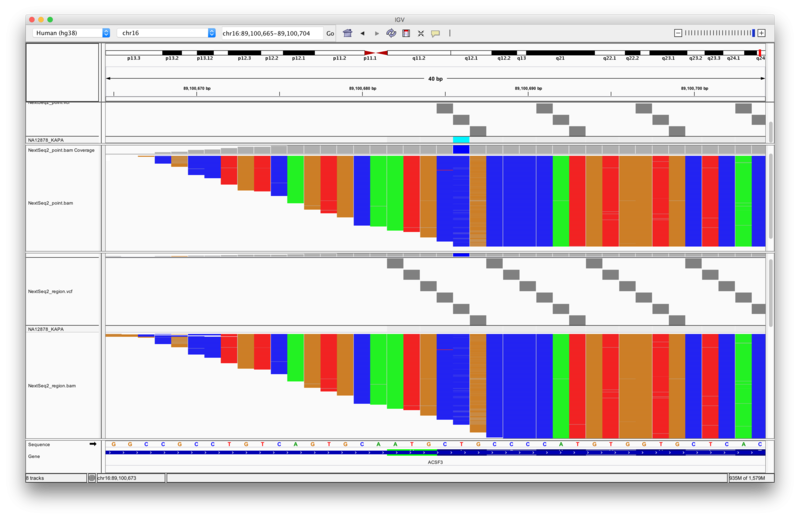 NextSeq2_region.bam: bam is composed of the reads which cover the region of chr16: 89100686 +-100bp. On position chr16:89100686, I presume T>C should be detected, but HaplotypeCaller failed to detect the variant with NextSeq2_region.bam. What causes the difference and why? If you need the bams and vcfs, I can post them here. Can you confirm the base qualities are all good/high in the region BAM file? Are the base qualities better in the point BAM file? Two bam's reads are identical. The "point BAM" is a subset of the "region BAM." The base qualities of the read are high enough, I think. The image below shows the overview of base quality. Shaded base's quality is less than 30 here. Just to confirm, when you say shaded bases, you mean basically all the bases in your screenshot? Can you check if the base qualities for the missed sites are higher than 20? If they are, I may need you to submit a bug report. Almost all the bases have base quality value over 20. 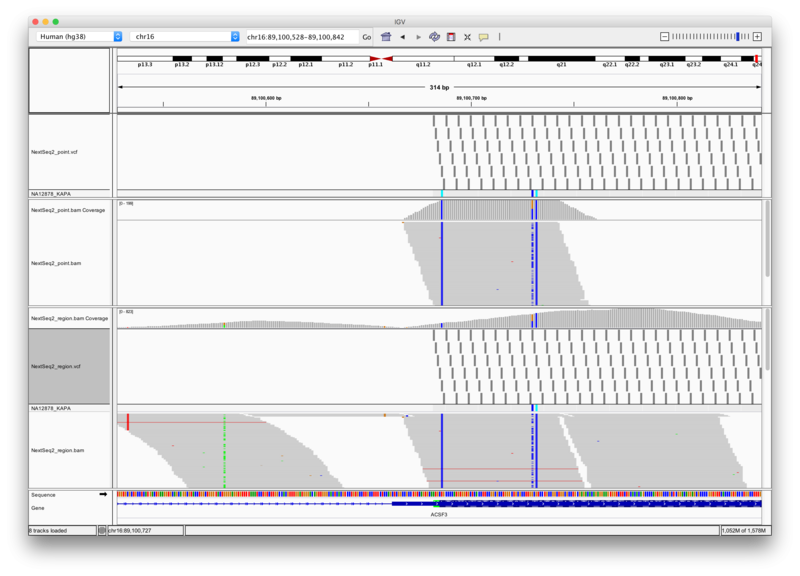 The following shows a pileup sequence of "NextSeq2_region.bam." Small fraction of bases are fallen under base quality value 20. As a reference, version of the samtools to create pileup is following. Alright, I am not sure what is going on. Can you submit a bug report? Instructions are here. 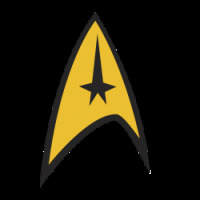 I put a report on the ftp server. The filename is 11436_gatk_report.tar.gz, just in case. The older version of GATK's results are also included. Based on this result, gatk_3.2-2 and gatk_3.3-0 could detect the variant I mentioned, but gatk 3.4-46 and newer failed to detect it. Thanks, @maikeda. We've received your bug report data and will follow up with you soon. Hi @maikeda, I'm just letting you know I can recapitulate your observations. I am consulting with the team currently. Our developer is away at a workshop currently and can take a look next week. Thanks for your patience. I'm glad to know you could replicate the result. I am looking forward to hearing from you next week. @maikeda, it appears this followup fell through the cracks. Apologies. Sheila left the group for greener pastures a few months back. The developers followed up in https://github.com/broadinstitute/gatk/issues/4561. Thank you @shlee. I thought that my question was completely forgotten and remains unresolved. Anyway, it looks like unresolved.